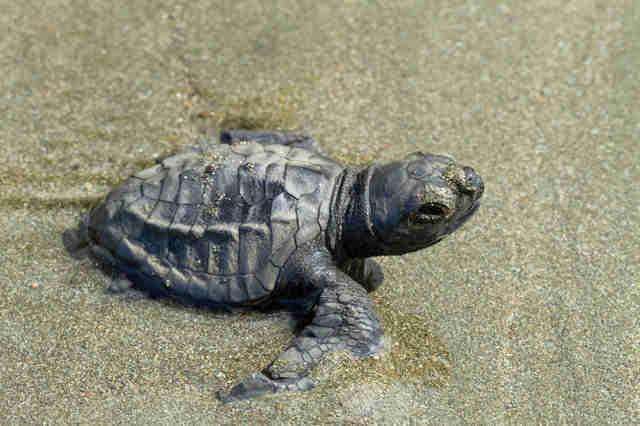 One moment, the mother turtle was swimming around in her ocean home. The next, she was being stolen. 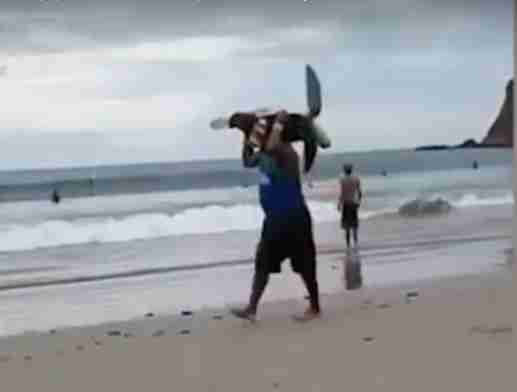 She was nearly ready to lay her nest on the beach, but then a poacher plucked her straight from the water, carrying her across the beach over his shoulder. She squirmed and flapped her flippers in distress as onlookers videotaped the scene — but they did nothing to help her. This was the last time anyone saw this olive ridley sea turtle, a protected species often poached from the wild for their eggs. La Flor Beach Natural Reserve in Nicaragua is a hotspot for nesting females like this one — and despite it being a protected area, incidents like this are quite common there. 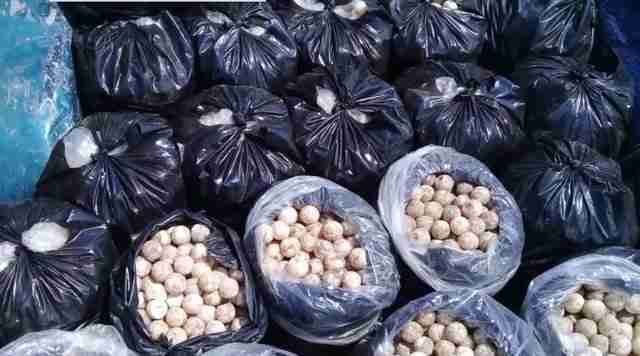 Countless sea turtle eggs are stolen from Nicaraguan beaches each year to be sold as food; in this case, the mother turtle may have been stolen in hopes that she would lay her eggs in captivity, or to be killed for meat. Lexie Beach, communications coordinator for Sea Turtle Conservancy, says sea turtle poaching has become an endemic problem in coastal towns across this particular region. After the video went viral on social media, four people were identified and arrested for the heist, according to local media reports. It’s not clear whether this turtle, or three others who were caught on camera being stolen, have been located or rescued. The story has been heartbreaking for animal lovers — and many viewers are calling out the people who filmed the footage for not interfering. While this turtle may never be seen again, representatives from Sea Shepherd Conservation Society had a simple response following the incident. “This is why we fight,” they said. To help protect sea turtles in the wild, you can make a donation to Sea Turtle Conservancy and Sea Shepherd Conservation Society. Covered in his own Faeces and Struggling to Stand: Heart-Breaking Polar Bear Drags Himself Across his Miserable Zoo Enclosure! Great News: Pandas No longer Endangered!